Yesterday, we announced the resignation of top baseball player Ichiro. We have been watching him since Ichiro was in Japan. It felt the same idea as our cutting technique when he heard that his batting method was "Pendulum batting method". The pendulum strikes the ball by drawing an arc of a curve. I think that is the most natural way to strike. We think that it is a cutting method that fits the shape of the head that we draw the arc of a circle and cut the style in the same way in our cutting technique. We also aim to be a top notch. Yesterday was the announcement of the retirement of legendary baseball player Ichiro. We have been watching him since Ichiro was in Japan. It felt the same idea as our cutting technique when he heard that his batting method was "Pendulum batting method". The pendulum strikes the ball by drawing an arc of a curve. I think that is the most natural way to strike. 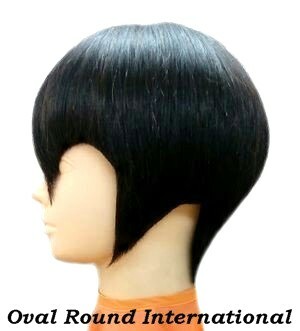 Similarly, our cutting method is based on the idea of drawing an arc of a circle and cutting the hairstyle. our natural haircut techniques. I hope to visit you in the near future. We look forward to seeing you. Hair style name: Straight Bob!! ★ Earth, the sun, the moon are round spheres. And the shape of the galaxy is spirally rounded around one point. Also in plants, there are many round spheres made of natural, such as apples, oranges, watermelons, etc. 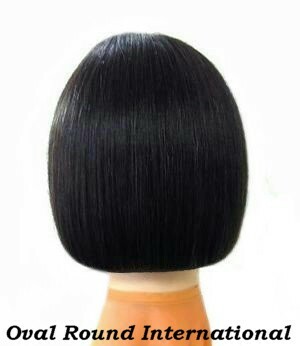 And the shape of the customer's head is a rounded egg shape, and the whirling is rounded like a spiral shape. 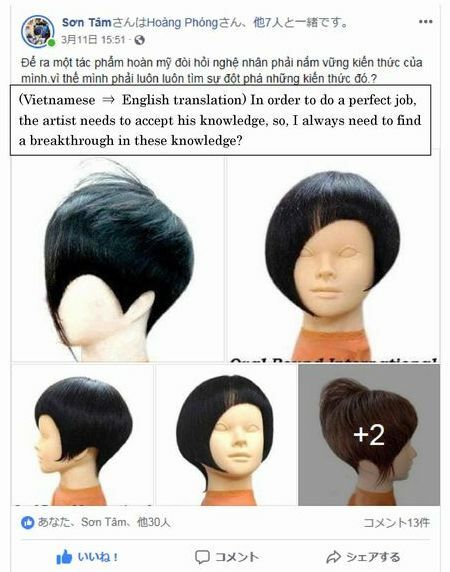 I am convinced that taking the round section from the center of the head (G, P) along the shape and flow of the head, cutting with a round layer cut and round gradation cut is the best haircut technique. 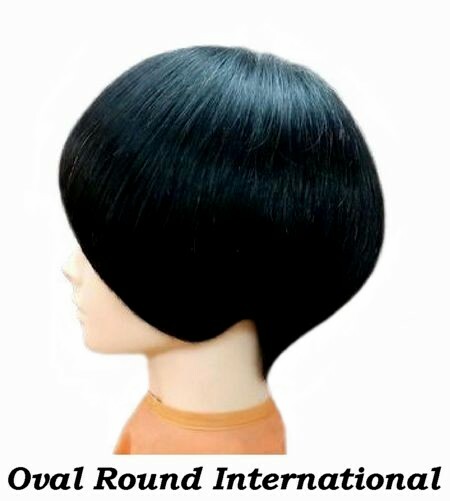 ※For foreign hairdressers, for those who would like to study haircut, we have set up a short time course only for 1 days, 2 day, 3 days, for those who are coming to Japan by sightseeing. (Course fee) One day (three times) 45,000 yen is a tax exemption of 30,000 yen at a new training discount. 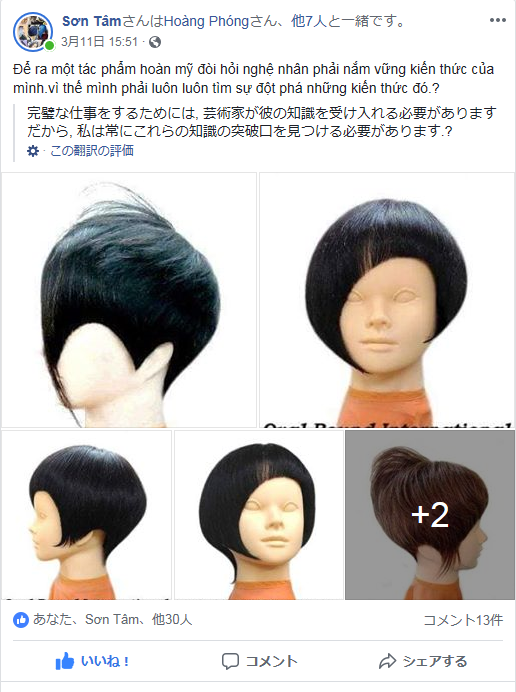 Separate haircut wig (4,000 yen), tool rental fee 1,000 yen will be charged. It is 35,000 yen in total. For details, please contact us by e-mail.